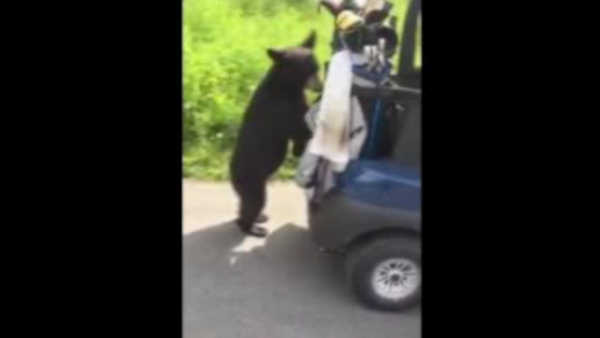 ALASKA (WABC) -- A black bear cub decided to interrupt a game on a golf course in Alaska. The golfer told the bear to go away, but the stubborn cub did not listen. Instead, the bear climbed into one of the golf carts, and seemed very interested in some beer. The golfers didn't seem too afraid, despite Momma Bear waiting for her cub at the next hole.